What is the EU Council Presidency? 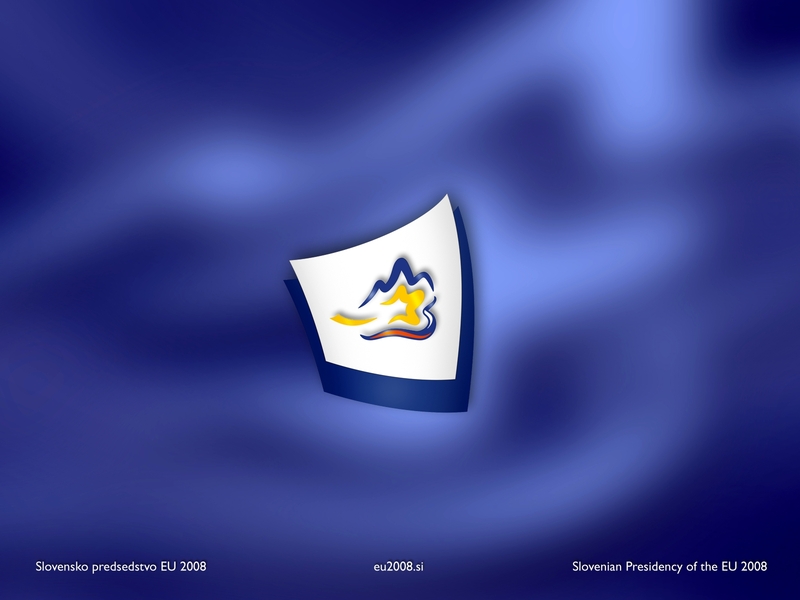 When Slovenia assumes the Presidency of the European Union on 1 January 2008, it will as all the other presiding countries, present its presidency with a special visual image. The design concept was chosen at the beginning of 2006, when 13 established Slovene designers presented their ideas. The chosen logo is from Robert Kuhar. The outline of the logo for Slovenia’s Presidency of the European Union resembles an oak leaf, which reflects the solid, persistent, dependable character of Slovenes, a people who are cool under pressure and thoughtful in their decisions. Oak wood represents high quality, as for example when used in wine barrels. On the other hand the logo is a combination of five classical elements – Fire, Earth, Air, Water and Ether. Fire is represented by the yellow shooting star in the middle that recalls the stars in the flag of the European Union. It represents the dynamism and energy of a young, modern country looking to the future and eager to face challenges. The fact that the star is “in the arms” of Mt Triglav means that the EU is in safe hands under Slovenian leadership. Triglav, depicted by the mountain outline at the top, represents Earth. Mount Triglav is Slovenia’s highest mountain and its most potent national symbol. There is a saying that to be a true Slovene, you must have climbed it. Triglav symbolizes determination and achievement. Water flows below, depicting the rivers and sea forming part of Slovenia’s beautiful nature. Water symbolizes depth and wisdom, conveying Slovenia’s political, economic and cultural maturity, and its potential for wise counsels. Running water also symbolizes healthy living. Air is represented by the white spaces interspersing the outlines of the logo. It reminds one of Slovenia’s fresh, natural air, and symbolizes Slovenia’s desire to breathe life into all it undertakes. Ether represents immateriality, and thus freedom and spiritual values. The logo conveys this element through its flowing lines. It reflects Slovenia’s traditional ecological orientation. 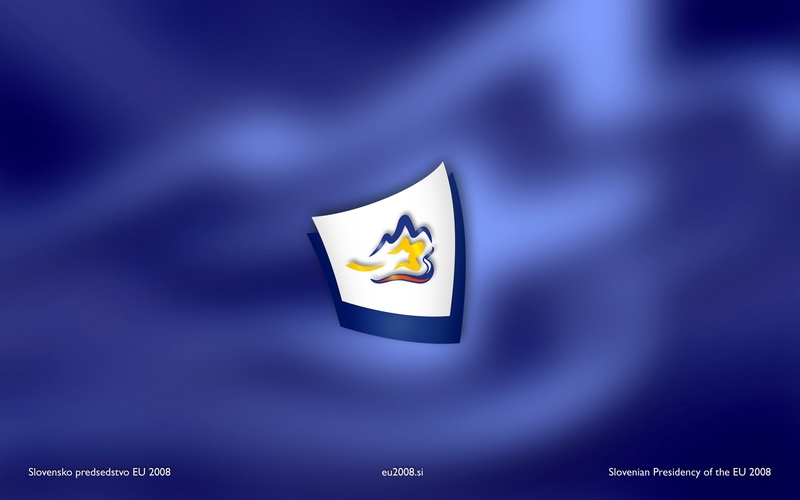 Overall, the logo conveys openness, movement, ambition and a sense of natural harmony.